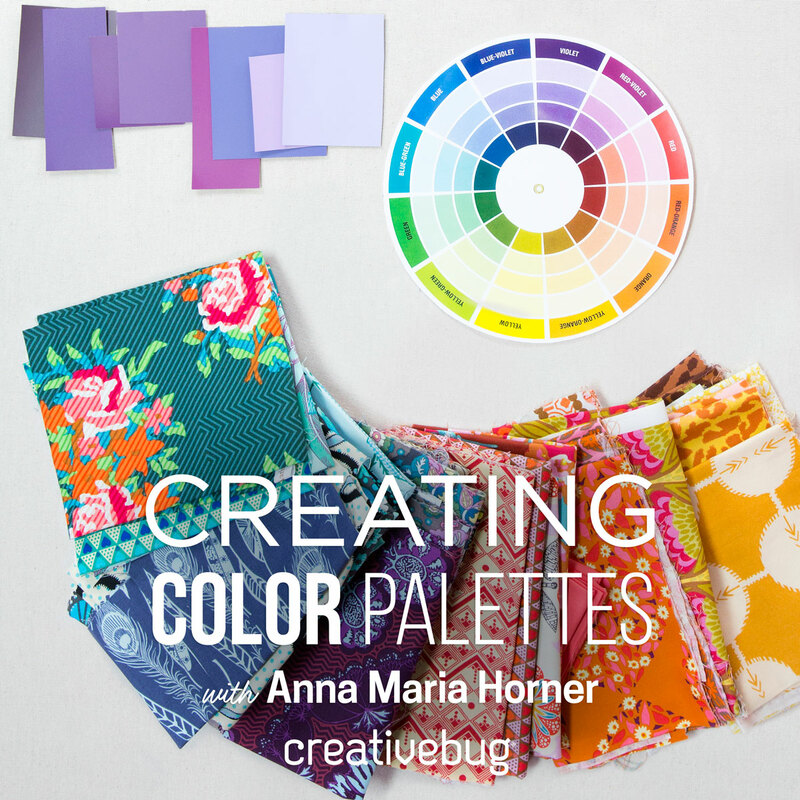 Anna Maria Horner: Here.There.Way over there.Everywhere. Here: Days look mostly like this, plus some night swims at the local pool. *Way over There: I'm joining my pal Heather Ross again in Palm Springs'12! Coming? Everywhere: I'm wishing you giant, giggley piles of what you love. Oh, those perfect summer days of childhood. The pictures say it all. Enjoy every moment of your weekend. Mmm.. I want to come over, jump on that pile and snuggle Roman. Missed nuzzling him at market this time. That pile of perfection looks like a good alternative. Anna Maria, you make a lot of things... including smiles! So enjoyed your interview, Anna Maria. 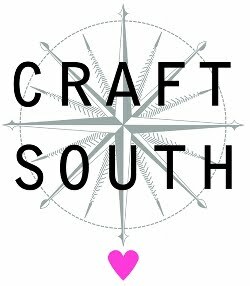 This is the ideal time of year for needlecrafts, indoors with something cool to drink, out of the heat while the children run in and out. I'll be there today! Glad to hear you're thinking of linen substrates. And who wouldn't love the artwork on the wall. Days that flew by too fast are wonderful memories for me now. 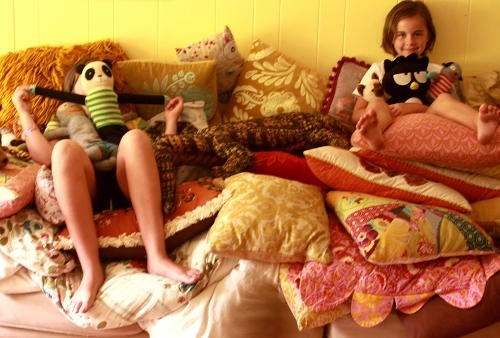 Were your 2 girls in the top picture to begin with or did they join the pillow-pile later? I like to think they were there to begin with, biding their time to surprise Roman or you! This looks like what our tv room looked like on rainy days. The Sound Of Music in the video player and kids in bathing suits all over the floor. I love this look! Oh boy, I need to get busy making some pillows because this looks like so much fun!!! I love being able to share in your life, your adorable family, your passion for creativity, your cooking, your normalness, and your specialness! Now that my three boys are teen-agers I especially love how you just embrace all the moments of childhood! This wonderful pile of home made pillows reminds me how my boys used to love to "camp out" on our upstairs deck and sleep underneath the stars....and the huge pile of quilts and pillows that would be piled up out there! What a lovely cozy spot!! I'm glad our isn't the only household where every single pillow winds up in one giant pile. Haha, that looks like the perfect pile to cuddle on for those little ones. Cute! Have a lovely summer, Anna Maria! Oh, I'm sooo glad to see that someone else's summer involves taking every pillow and blanket in the house and making a huge pile! Except your pillows are prettier than mine. Guess I'll have to work on that. I would have given my left arm to grow up in a household that aesthetic. Look at all the wonderful patterns and textures! Heaven. Your children are blessed. This very image is why I love making so many pillows! On many different Summer mornings I could have a taken a photo so similar to this one down to the same fabrics and blabla dolls -- I love it! Love the interview!! And I LOVE all those pillows on the couch. I would dive in and never come out! It looks so comfy! Have a wonderful weekend!! They look like they are having a blast! I think having older children who have flown the coop makes you a better parent to the younger ones because you realize just how fast these pillow piles change. ;)Enjoy! Ah! 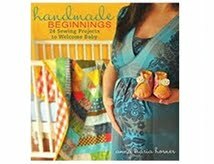 There's that adorable little brown stuffed puppy that made an appearance in your Handmade Beginnings book. I was hoping to find the pattern for it in the book, but realized it was maybe a last minute addition that I would have to figure out on my own. Here's to a whole summer of preparing for my own baby! 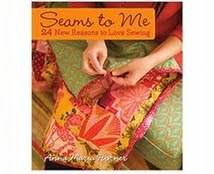 Thank you for answering all those wonderful questions over at Sew4Home! You and your work are so inspiring to me as a mommy trying to "do her thing"! 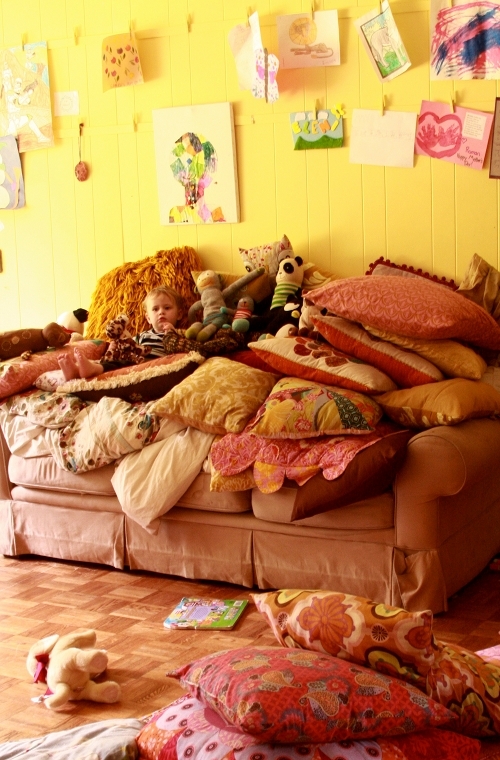 That is a gorgeous pile of pillows! Pillows, kid feet, sunshine: perfection. The first pic of Roman reminds me of the scene from ET where he is hiding in the closet full of stuffed animals. Just too cute! Where did you get that Panda bear for your son?? Is that real? Oh my gosh...kids heaven and big girl heaven too...can I come over for a 'play'???? These are so great pictures they make me remember when I was a child and I did the same, so cute kids!